Nike Sportswear's recently introduced Air Max 90 Sneakerboot hits the web in a sweet royal-accented colorway. Working with a full Hyperfuse construction and a neoprene inner bootie over a classic Air Max 90 sole, we see the updated runner covered predominantly in black. Royal blue and white paint splatter hits the mudguard on each shoe, matching the tongue pull tabs, laces and midsole below. 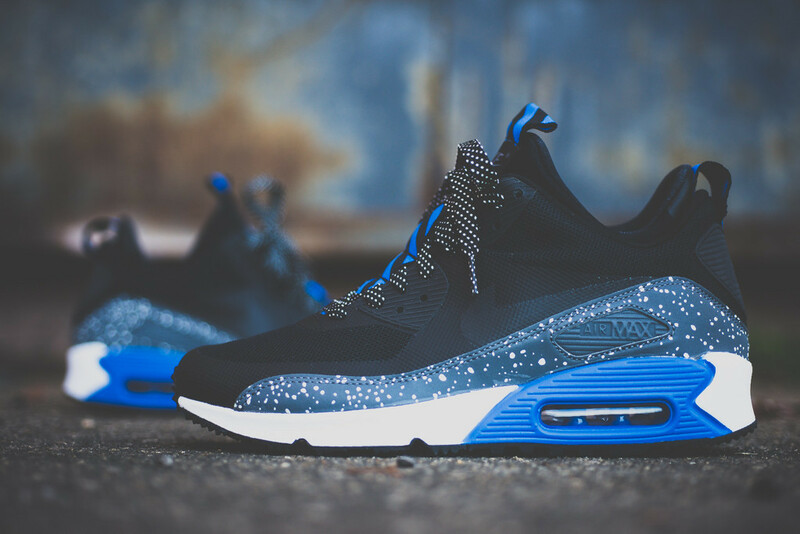 The Royal/Metallic Nike Air Max 90 Sneakerboot is now available via select NSW accounts such as Sneaker Politics.